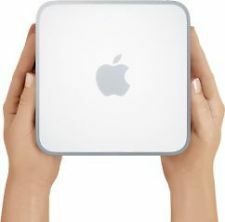 Powered by a 2.26 GHz Intel Core 2 Duo processor, the Apple MC238B/A Mac Mini desktop is a wizard at everyday computing tasks. A sleek and compact device, this is one desktop computer that can be carried along with you. 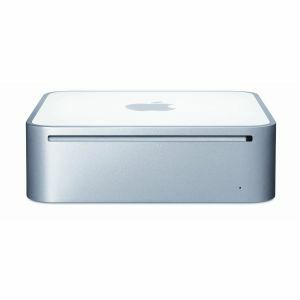 Featuring an integrated NVIDIA GeForce 9400M graphics chip, this Apple Mac Mini desktop gives you amazing video. This desktop computer has several ports like a FireWire 800 port, and dual video outputs, so you can easily connect the peripherals you already have, including your HDTV. 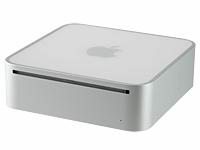 Loaded with the Mac OS X 10.6 Snow Leopard operating system, this Apple Mac Mini desktop comes with a host of applications like iPhoto, iMovie, Garageband, and iTunes. So enjoy the advanced computing features of this Apple computer, which also doubles as an entertainment center.